This is our main screen. 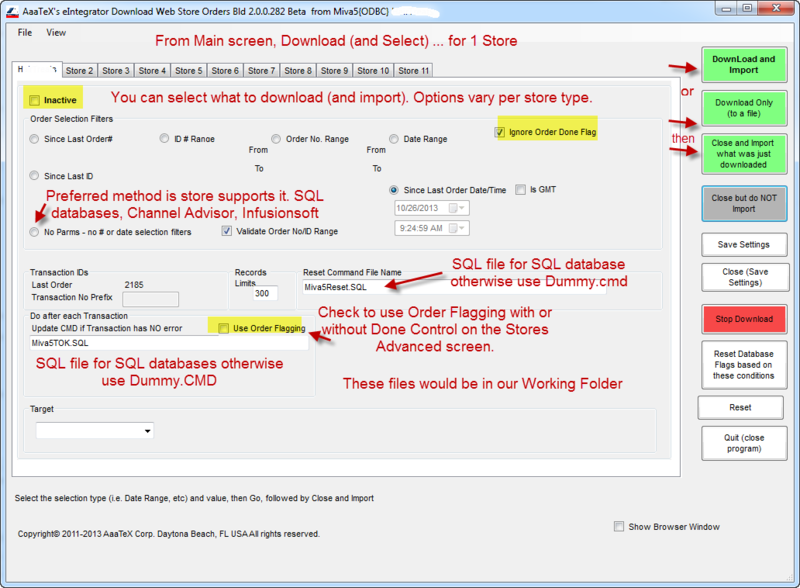 Normally just have to click on Download New Orders from All Stores or set it up for Automated Operations. The setup that we would do with you, if needed, would go over these. 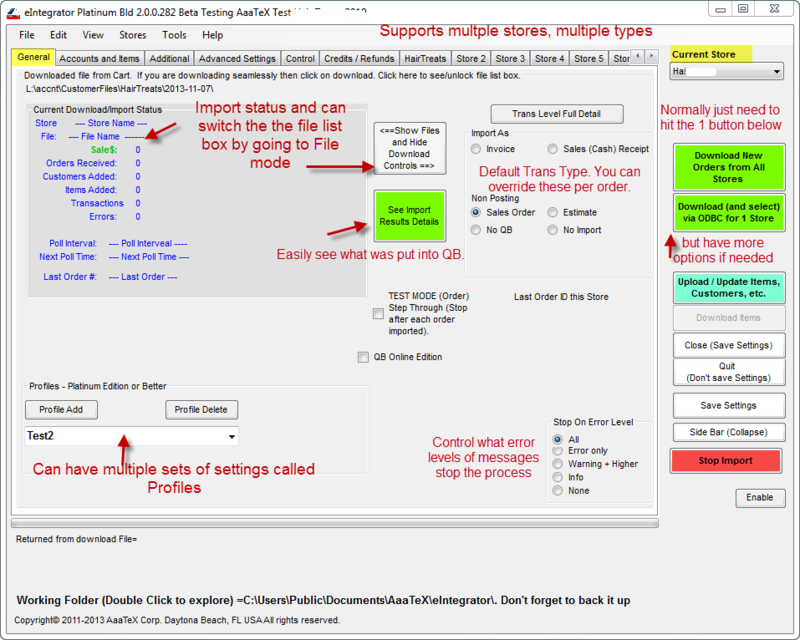 Download New Orders from All Stores or setup it up for Real Time Similation. We do have a 10 day free trial version. A demo can setup here for you to see. Doing a demo or trial on your system can be done but requires doing the setup to map your store to your QuickBooks and we do not use your system. Microsoft Windows XP, 2003, Vista, 7, 2008, 8, 2012. Same machine requirements as QuickBooks. 4G or more of RAM, Dual Processors of 2.5+recommended. Supports hosted environments. Extra setup will probably be needed unless you use our hosting. Please note that this demo is based on the QuickBooks Desktop Sample Company and our osCommerce cart. To use other configurations a setup would have to be performed i.e. 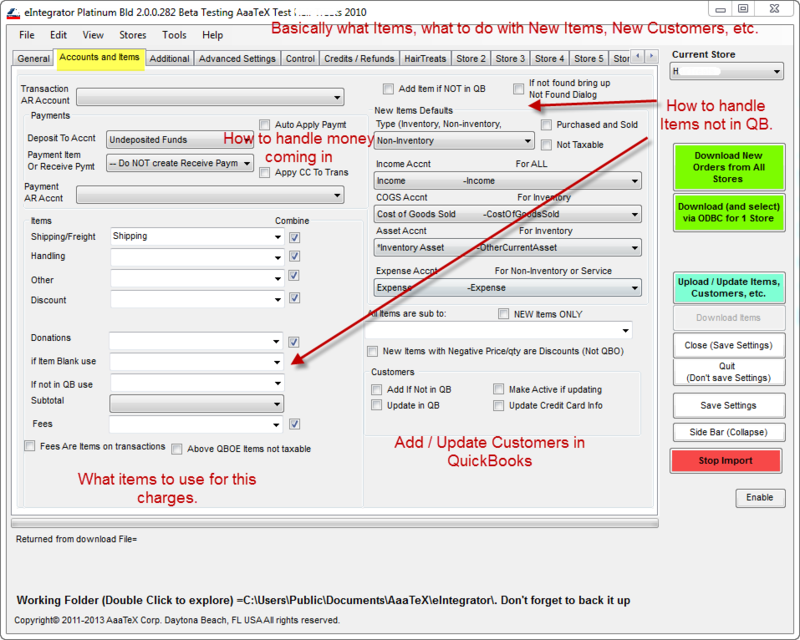 QuickBooks Online Edition or a different cart. Just $399 US for the Standard Edition Desktop Version The most popular is our Gold Edition for $549. No extra charge for setup. and $399 for QuickBooks Online Edition (Basic Edition). Only applies to carts with support updating – does not include file import integrations.